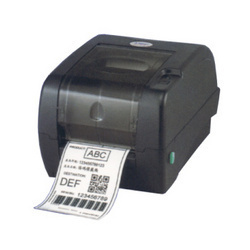 Leading Manufacturer and Exporter from Delhi, our product range includes Barcode Printer such as Desktop Printers, Product Barcode Printers, High Performance Barcode Printers, Entry Level Barcode Printer, Direct Thermal Barcode Printers, Laser Barcode Printers and many more items. We are instrumental in manufacturing, supplying, exporting, trading, wholesaling and retailing a wide range of High Performance Barcode Printers. Used for various industrial and domestic purposes, these printers are manufactured in different specifications to suit the demands. Knitting a vast distribution network, we are committed to dispatch our range in committed time-period to the clients' premises. As a distinguished manufacturer, supplier, exporter, trader, wholesaler and retailer, we are engaged in offering Entry Level Barcode Printer. Can print a wide variety of labels, these printers are designed and developed in accordance with the guidelines laid in the industry. 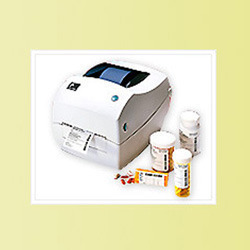 Applicable in automobile service shops, walk-in shipping and mail centers, pour offered printers can be customized as per the demands of esteemed customers. 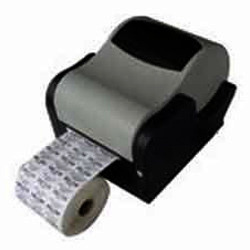 Understanding the demands of customers as a manufacturer, supplier, exporter, trader, retailer and wholesaler, we are engaged in offering a wide range of Direct Thermal Barcode Printers. Employing modern machinery and technology, installed at our premises, we manufacture these printers without leaving any scope for defects. To eliminate defects, these printers are checked rigorously on various parameters to ensure flawlessness. With rich industry experience and expertise, we are engaged in manufacturing, supplying, exporting, trading, wholesaling and retailing Barcode Printers. 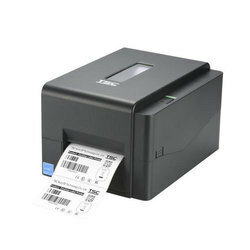 These printers are used for printing barcode labels or tags and are manufactured with the aid of advanced machinery and technology, operated by our professionals. To ensure smooth operations, these printers are checked thoroughly by our quality controllers. 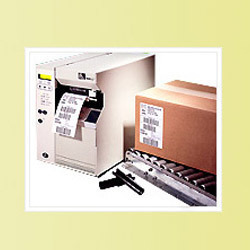 Meeting the demands of customers as a manufacturer, supplier, exporter, trader, retailer and wholesaler, we are engaged in offering Label Barcode Printers. Ideal for performing medium to heavy-duty operations, our offered printers are designed and developed in accordance with the guidelines laid in the industry. Can print in one motion at correct time, our offered printers are available in different specifications. Positioned in the industry as a manufacturer, supplier, exporter, trader, retailer and wholesaler, we are engaged in offering a wide array of Desktop Printers. Under the guidance of expert engineers, these printers are designed and developed to ensure no defects. Besides, we have a spacious warehouse facility, where these printers are stored systematically to avoid damage. 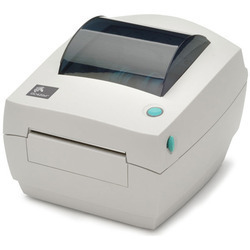 Taking quality as our prime importance, we are engaged in manufacturer, supplier, exporter, trader, retailer and wholesaler, we are engaged in offering Product Barcode Printers. To suit the requirements of customers in efficient manner, we manufacture these printers in different specifications. Moreover, our team of quality controllers checks the entire range on various parameters to ensure flawlessness.